It's been 2 weeks since I've laid my hands on this beauty. 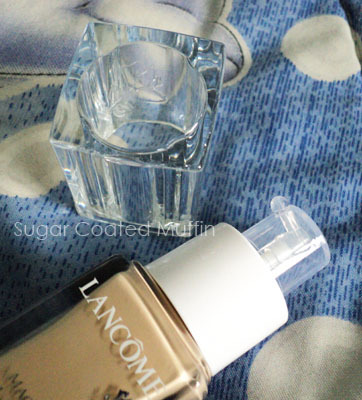 During the Lancome Review Party, we were each given a bottle of the Maqui Blanc Miracle Fluid Foundation to try out and review. Mine's in the shade of O-04 (there's 6 shades available). 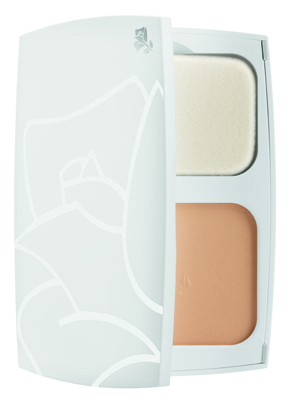 This is Lancome's first 12 hour lasting brightening foundation and the shades & texture are designed for Asian skin. Awesome!! I've always had a problem with foundations that look great freshly applied then when I come home and look in the mirror, it's oily, patchy, streaky, oxidized and cakey. GAHHH! The horrors..
One thing I watch out for with liquid foundations is the presence of a pump. I once wanted a certain foundation so much but didn't get it simply because it didn't have a pump =_= Pumps are more hygienic, less messy and it's easier to control the amount. IMO, the Maqui pumps out enough for a single area (one cheek, half a forehead etc) but I can choose to pump out less as well. So far, I haven't had any problems with the pump. It's smooth and doesn't get messy like some others. This is just the foundation, brows & a touch of blusher. 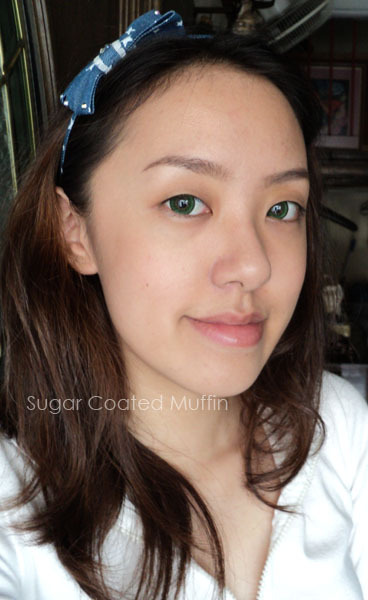 Love how it instantly brightens up my face (freshly applied, it's too fair but it adjusts a lil) and evens out my skin. The liquid itself is watery and spreads easily which is good since you're supposed to apply it with your fingers in a circular motion. For areas where you need higher coverage, dab it on. 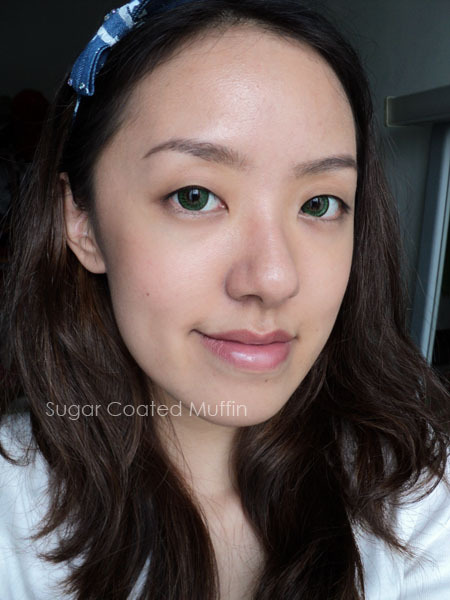 Maqui offers a light to medium coverage, which is awesome considering the fact that it feels so light until I don't even notice it there. "Aura-Bright™ technology works to reproduce and boost the pinkish and bluish tones of skin’s inner light to reveal a naturally radiant and brightening finish"
"Maqui MIRACLE contains a specific complex of ingredients that resists sweat and humidity to keep the complexion looking fresh and radiant up to 12 hours. It has a lightweight, oil-free and mineral-rich formulation which provides wearer a light and airy sensation all day long and glides onto skin smoothly to create a perfect and pore-less finish." Everything is right except for the pore-less finish. 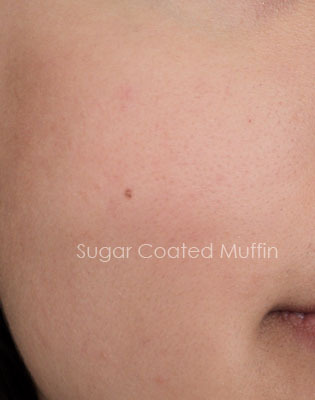 You can still see my pores (didn't use primer) but I don't think any liquid foundation has covered my pores before. 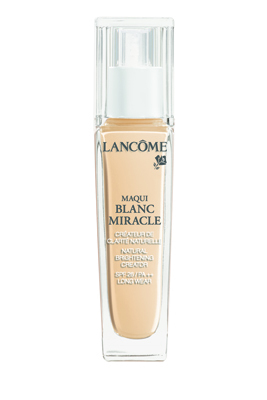 "Maqui MIRACLE also features Lancôme’s NeuroWhite™ complex that enhances skin’s clarity every day; and SPF 26 PA++ UV protection that helps prevent the appearance of brown spots and protect skin from the damaging effects of daily UV exposure"
** Product was provided by the company for reviewing purposes. However, this has not affected my thoughts on the product in any way. 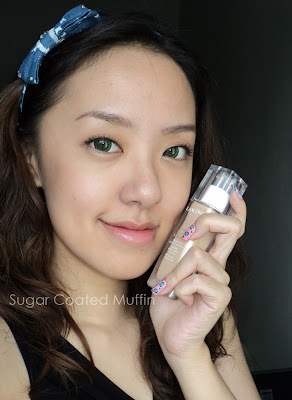 This foundation looks good on you! looks natural without being to made-up.. 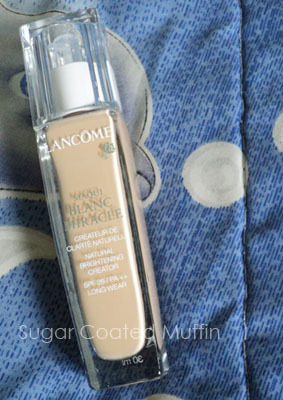 This foundation looks really great on you. Hopefully they will come out with darker shades as It's just too light for me. I've tried out this foundation in sample size because I was quite hesitant to buy the full size back then. At the same time, I was interested in Teint Idole too. So, the BC was kind enough to provide me with more than one samples of each foundations to try. Well... both works well but since my skin is oily, I find Teint Idole worked much better on me. Argh... I gotta finish up my current foundations and BB creams already!